Copyright is protection for intellectual property of a creative or artistic nature. This includes fiction, nonfiction, recipes, songs, movies, broadcasts and more. It gives the creator, or the person they assign rights to, the exclusive right to reproduce, publish, sell, distribute and adapt their work for a certain number of years. This varies both by the countries where the work is copyrighted and the year in which the work was created or published. indicated by a c in a circle, the year, and copyright holder’s name. © 2009 [copyright holder]. Copyright of phonic media is indicated by a p in a circle, ℗, year, 2009 and the name of the copyright holder. The US constitution gives the right to Congress to make copyright laws in the United States. Congress has made and changed copyright law a number of times over the last 200 some years. This has allowed works copyrighted in one year to have copyright end, and the work go into the public domain, years, and even decades before a work created the following year. The first copyrights were for 14 years. The first work in the United States was copyrighted about two weeks after the first Congressional law covering copyright. Copyright is the right of a copyright holder to receive benefit from the copyrighted material. Historically, copyright was established as a right for authors to have control over the printing of their works, and receive financial recompense for their use by others. These rights mean that the creator has the right to receive reimbursement for the use of their work by others when they sell or assign rights to their work for royalties or payment. Without copyright, creative works could be reproduced and sold without any reimbursement to the creator, and it would not be illegal. Currently in the United States, all works created after January 1, 1989 are copyrighted at the moment they are fixed into a medium, whether printed on paper, saved on disk, or sound captured by recording media. Art and architectural work are also copyrighted. This occurs whether or not the work is published or if it is registered in the United States Copyright Office. Since January 1, 1978, copyright in the United States extends for the life of the creator and an additional 70 years for all works not created for hire. Works created for hire, whether by an employee or by a contractual relationship, are copyrighted from 95 years from publication, or 120 years from creation, whichever comes sooner. In the United States, copyright is overseen by the United States Copyright Office, which is part of the Library of Congress. Copyrights on some types of works can now be applied for electronically, and it is significantly cheaper. In the United States, all material published before 1923 is copyright free: that is, it is in the public domain. After that, creative works have their copyright expire after varying lengths of time, generally dependent on the year in which the work was created. Why Do We Need a Copyright Office? So, if copyright is now automatically bestowed at the time of artistic creation, why do people apply for copyright registration? Copyright rules vary according to country, and some countries require works be registered before they have the protection of copyright. What the United States Copyright Office does is not grant copyright, although that has been part of its purpose in the past. What it does is register copyright. A registered copyright bestows legal benefits that merely holding a copyright does not. To learn more about registration of copyright, read The Steps Involved in Applying for a Copyright. Registration establishes a public record of the copyright claim. Before an infringement suit may be filed in court, registration is necessary for works of U.S. origin. If made before or within five years of publication, registration establishes prima facie evidence in court of the validity of the copyright and of the facts stated in the certificate. If registration is made within three months after publication of the work or prior to an infringement of the work, statutory damages and attorney’s fees will be available to the copyright owner in court actions. Also, registration allows the owner of the copyright to record the registration with the U.S. Customs Service for protection against importation of infringing copies. Infringement occurs when there is unauthorized reproduction of a copyrighted work. There are situations where portions of copyrighted works can be used by other people, covered by the doctrine of fair use. Fair use does not have an explicit definition, but use is considered on a case-by-case situation when infringement of copyright is claimed. Infringement affects the potential market for or value of the copyrighted work. whether the use of the work was detrimental to the value or saleability of the work. 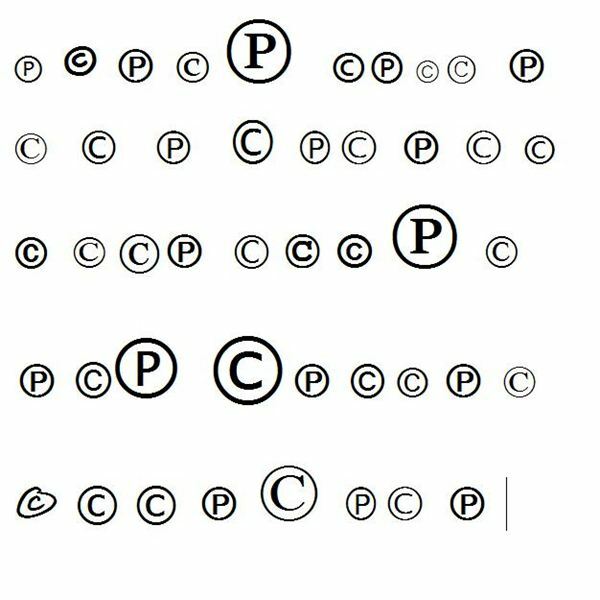 People who want to use portions of a copyrighted work need to evaluate whether they are making fair use of the material or are infringing. They must also make attribution of the source, or they are plagiarizing. Copyrights and Patents both protect Intellectual Property. Do you know the definition of intellectual property? Understand how copyright and patent differ, the purpose of a patent vs. a copyright, and see what types of intellectual property are covered by each protection.